What to do in a dental emergency and what not to? Dental emergencies present themselves in varied forms. You could suffer an accident or fall causing serious damage to your teeth or gums. It could also be unbearable pain in your teeth or mouth or parts of your teeth cracking and falling. Any case that requires the immediate attention of a dentist should be treated with the care and urgency it calls for. However, it is important to remain calm and think through a number of steps through the whole episode to avoid causing more harm in attempts to mitigate the pain. Depending on the hour of the emergency you can contact your dentist Richmond Hill or seek the services of an emergency dentist. 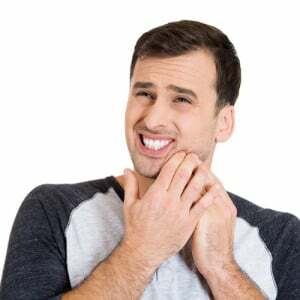 For toothaches, rinse the mouth and ensure there are no particles stuck between the teeth by gently flossing the teeth. For a swelling in the cheeks or mouth, use a cold compress on the outer surface of the cheek in the affected side. If you are dealing with a broken tooth, rinse the mouth, apply slight gauze if there is bleeding and use a cold compress to ease pain and inflammation. Keep the broken piece safe and get to the dentist in an hours’ time to restore the piece. For caps and crowns that have fallen off, see the dentist immediately. You can swab the area with a cotton piece with a few olive oil drops to reduce the pain. In the case of abscess, urgent dentist attention is required to prevent the infection from spreading. As a management action before getting to the doctor you can use mild salty water to rinse your mouth at intervals. 2) Don’t use aspirin for painful teeth or gums as it will burn the gum tissue. Ibuprofen is recommended should you need a pain killer. 3) Do not ignore a problem or put off a visit to a dentist. This will only aggravate the damage to your teeth or gums.